Today the World Organization of the Scout Movement (WOSM) announced that the Kenya Scouts Association (KSA) has become the 6th largest National Scout Organization in the world, with more than one million members. Since 2013, the membership of KSA has grown steadily by 702,498 to reach the current 1,026,427 members. “This is a great achievement and a good example of how National Scout Organizations can help to achieve the vision of World Scouting,” said the Chairperson of the World Scout Committee, João Armando Gonçalves. “This growth in membership will allow many more young people to access and benefit from the value-based education offered by the Movement. Scouting provides young people with opportunities to learn and develop their character and leadership through exciting, involving and empowering non-formal learning activities,” said the Secretary General of WOSM, Scott Teare. Since its establishment in the country in 1910, KSA has continued to offer great and valuable contribution to youth development and empowerment. Supported by over 40,000 adult volunteers and working with different partners, the Association will continue to play a vital role in complementing the role of government and other stakeholders in addressing issues facing young people in Kenya. 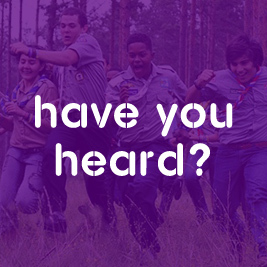 The Scout Movement is committed to making the Scout Programme – a progressive system of value-based non-formal education – accessible to as many young people as possible through growth in membership and continuous adaptation of the Youth Programme to suit the dynamic needs of the young people. “As a Movement we are proud of this great achievement and commend the leadership of KSA for its efforts and dedication towards improving and enhancing the development of Scouting in Kenya,” said the Regional Director of the World Scout Bureau Africa Support Centre, Frederic T. Kama-Kama. We would like to congratulate the KSA for such an achievement! In South Africa we currently have a national membership of over 308 000 members. Let’s let the success in Kenya inspire us to work towards growing our membership here too!